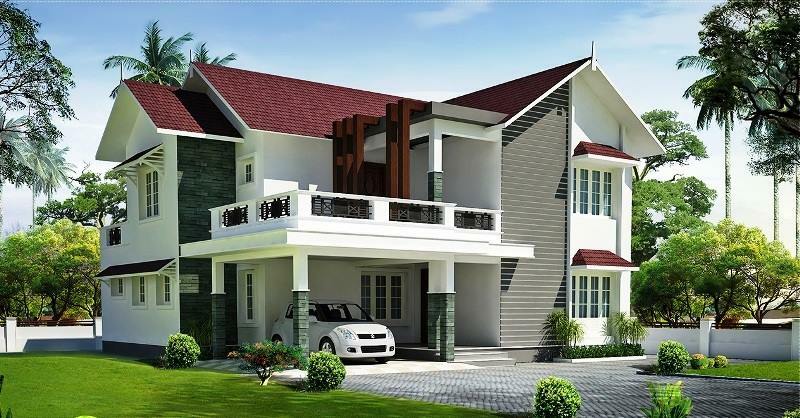 KERALA HOME DESIGNS AND PLANS: KERALA HOME DESIGN- SLOPING ROOF DESIGN. KERALA HOME DESIGN- SLOPING ROOF DESIGN. Intelligent design..The house has one real frontage and one side is looks like another frontage. What will be the cost of the home? Can i get the interior designs of the same?